Ronald Languedoc has been a practicing attorney in the area of housing law and real estate litigation since 1982. He received his B.A. from Middlebury College in 1978, and he received his J.D. from New York University School of Law in 1981. He is admitted to the bar in New York and in the U.S. District Courts of the Eastern and Southern Districts of New York. From 1981 to 1983, he worked as a Court Attorney with the Civil Court of the City of New York. From 1983 to 1989, he practiced as a housing attorney at DC 37 MELS. 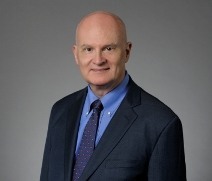 From 1989 to 1991, he was a senior associate at the firm of David Rozenholc & Associates, where he worked in real estate and commercial litigation. In 1991, Mr. Languedoc joined South Brooklyn Legal Services as a housing attorney, where he remained until June 2008. In 2004, Chief Judge Judith Kaye presented him with the Legal Services Award from the Bar Association of the City of New York. In 2007, Mayor Michael Bloomberg appointed him to the New York City Rent Guidelines Board as a Tenant Member. Mr. Languedoc has lectured on landlord-tenant law throughout New York City, and many of the decisions in his cases have been published.